Glass edges processing is an integral part of its manufacture. 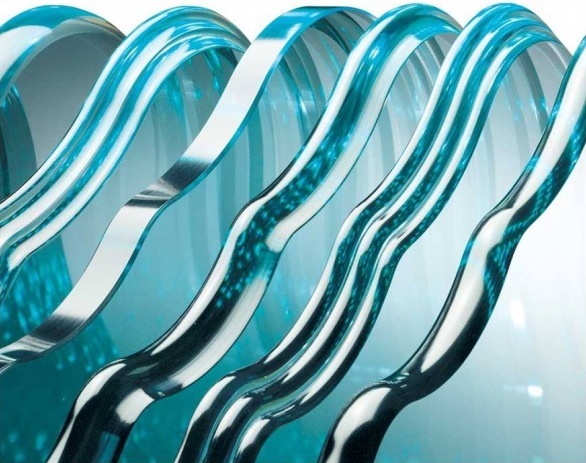 It ensures safety, durability and beautiful appearance of glass and glass products. There are several ways to process the glass edge, depending on its purpose. Standard edge-work is included in the price of any glass processed. It is the simplest processing that is done by default. Sharp and dangerous edges may form during glass cutting. Moreover, the raw edges can cause cracks in the glass. Standard edge processing protects against these problems and provides a neat appearance. To make the product look beautiful and special, you can choose a more original way of edge-work. The most common types of flange include a straight edge and a "euro edge" when millimeter bevels are taken at an angle of 45 degrees. Additional changes in the machining angle up to 90 degrees make it possible to obtain other types of edges. • Pencil Edge - a rounded glass edge. • Bevel Edge - the edges of the glass are cut at an angle from 3 to 45 degrees. This type adds a sense of depth. • Flat Edge - a flat edge with chamfers. It assumes the possibility of changing the processing angle. Any glass edge can be glossy or matte depending on your preferences.